If your dog suffers from allergies, read this!! One of the reasons I wanted to study canine nutrition was to help my own dogs, as well. Much like the driving force behind becoming a certified canine massage therapist. 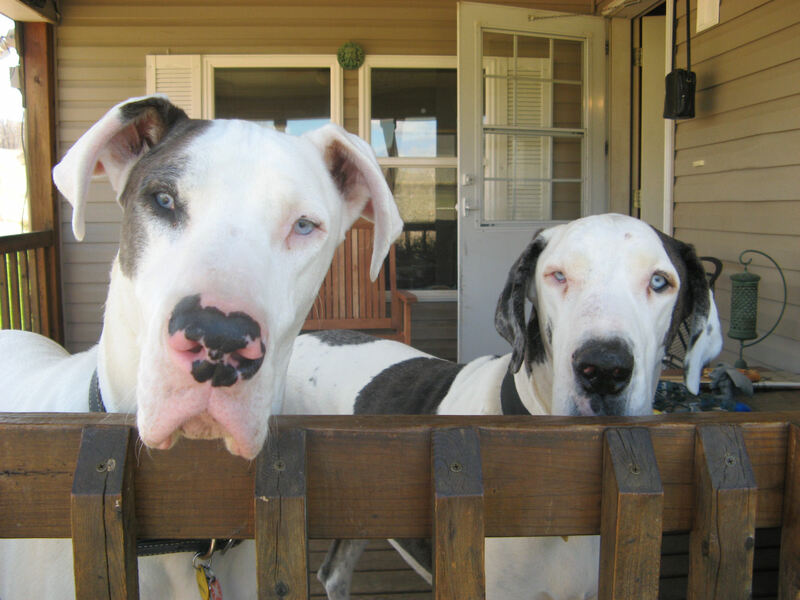 We have a deaf Great Dane who seems to have suffered from allergies since the day we brought him home. Sometimes they seem to calm down and he’s fine and then they flare. The flaring part has been the last six months or so. In fact, it got so bad, that if Kleiner was awake, he was scratching, licking or biting somewhere on himself. I felt awful that I hadn’t been able to help him and finally resorted to a blood draw to send off to Spectrum Labs for a regional allergy test. They tested for over 100 different items, ranging from foods, grasses and supplements to fungus and molds. Turns out it was so much worse than we’d thought and I felt badly we had not done this sooner. I consider myself fairly knowledgeable about these things, but I was reminded that a little outside help that adds to your arsenal of facts is never a bad thing. For example, when we first got him, his itching got worse and since we were feeding him raw chicken along with the other dogs, we assumed he was allergic to chicken. For three years we have fed him lamb, beef, pork, buffalo and duck. His allergy test showed that he is not, in fact, allergic to chicken. But he is allergic to pork!! Along with peas, sweet potatoes and yeast. All ingredients in some of the top dog foods! What Kleiner was probably reacting to was the different environment in Colorado than what he was used to in Kansas. After all, he’s allergic to every grass around except Bluegrass. Not something we’re likely to grow in Wisconsin. Kleiner (left) with his buddy Harley, feeling so much better now. So, the moral of this story is, knowledge is power and you can never have too much and NEVER think you know everything. If you’ve been fighting allergies in your dog forever and are not able to get them under control, I strongly recommend this allergy test. It’s a bit pricey, but so worth it for your dog’s comfort and well being. They will even test for extra things that may not be covered on their standard test. I added whey and rabbit. Whey because I have so much of it when I’m making cheese and heard it could be good for animals and rabbit because I occasionally like to treat my guys to it. He was not allergic to whey (YAY!) but he is allergic to rabbit. Your veterinarian can help you get the test done and interpret the results. My vet and I will be starting shots for Kleiner soon to try to acclimate him to the grasses part of his allergies, much like allergy shots in humans. We’re hopeful and grateful. Good luck with your dog! !